The Genova Delicatessen, located at 5095 Telegraph Avenue, has been part of the famous Temescal Plaza since 1926. When it first opened it sold mostly just pastas and sauces but in the late 1960s the deli began to focus on making and selling sandwiches and has since become a staple place for many locals to get their lunches. This spring the deli will close due to an increase in rent from the landlords, Temescal Plaza, LLC. Is there room to move to the vacated dry cleaners across Telegraph? Why aren’t they going to have a deli counter at the 4300 Broadway location (which seems like a prime location across from Oakland Tech)? The Plaza has prospered because of Genova. The goose and the Golden egg thing. Genova is an example of the best of Oakland, hard work, attention to quality, and service with a genuine smile. 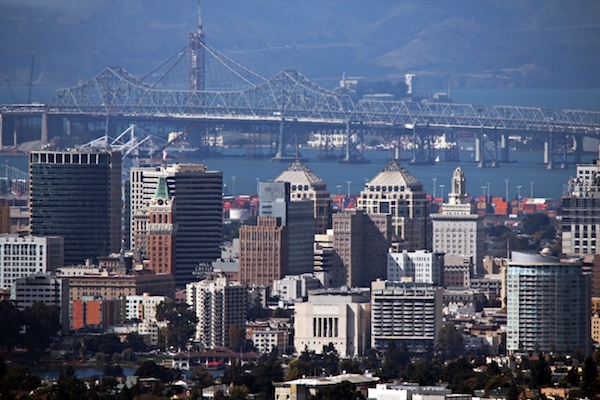 Short sighted greed represents the worst of our “new” Oakland. OMG!!!! I started to go to the Genova Delicatessen when I was old enough to walk. I was born just around the corner on Avon Street and can still remember when the Genova Delicatessen and Ravioli Factory was in a tiny shop just South of the old Vern’s Market and on the far left side of the same block was the Genova Ravioli Factory and Delicatessen. Anyone seeing these two business just few doors apart would have to do a double-take on seeing the “slight” difference in names. Even though I live in Seattle now, whenever I’m in the Bay Area I go there. I even convinced the travel department of the hospital I worked for that I should fly in and out of the Oakland Airport, because it was easier to get in to than San Jose (even though the class I was being sent to was in San Jose). When the class was over I drove back to the Deli, loaded up with about 50lbs of Focaccia, Torta, and cold-cuts, then drove up the street to Caspers and got 8 Caspers hot dogs and 4 of their tomales (which went into my carry on-the 50 lbs was checked). I hate these greedy landlords who can’t see the value of this institution!